Being a proud Saturn owner doesn’t stop just because the company no longer exists. 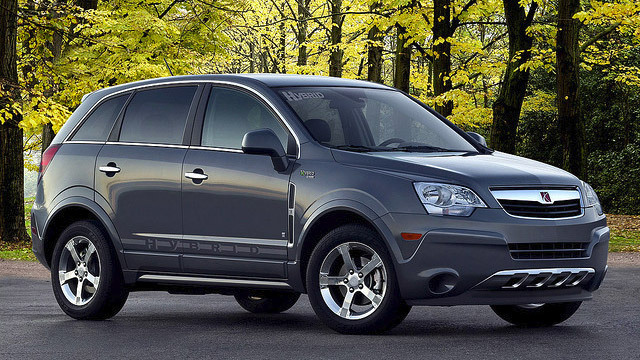 It means you have embraced style and comfort Saturn had to offer in order to satisfy your passion for driving. In order to keep your Saturn performing at its best, proper maintenance and attention to issues are important. While you can have your automobile serviced at a GM dealership, it is oftentimes out of the question due to high prices and lack of customer service. Saturn owners in Simi Valley trust Schneider’s Auto Repair for the best repairs and customer service at the most competitive prices. The team of ASE-Certified Technicians at Schneider’s Auto Repair understand the inherent issues associated with Saturns, and use proper repair techniques to perform dependable repairs. From routine tune-ups and fluid replacements to minor engine repairs and complex electrical issues, you can rest assured that your Saturn will be in good hands no matter the issue. You won’t find any surprises. We will only perform repairs and services that you request and all work is performed according to factory specifications of your Saturn. We have been providing a level of customer service and satisfaction that is unsurpassed in Simi Valley since 1979. At Schneider’s Auto Repair, trust and honesty is an utmost priority for every customer, and we do our best to provide a hassle-free repair experience.